A staff favorite. These versatile custom printed 12 oz solo cups are perfect for serving soda pop, iced tea, punch, and more at your graduation party. 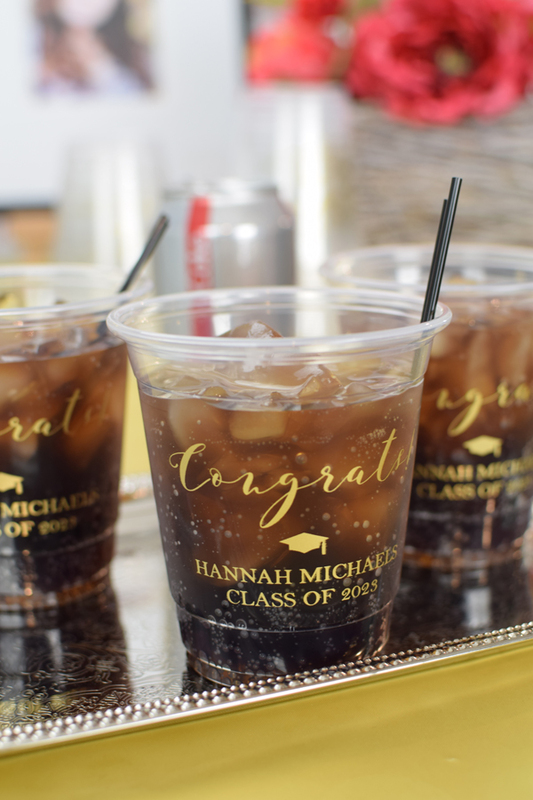 Each custom printed cup is personalized with a graduation design and custom message. Made from disposable plastic, making clean up a breeze. These cups comfortably hold around 9 fluid ounces (12 ounces to the brim). Cups measure 4 1/2 inches tall by 3 1/2 inches in diameter. A versatile cup that is great for a number of different drinks. Personalize the front and back of your cups for no additional charge. I ordered these for my daughter’s graduation party. They were perfect! They looked just like the website showed. I will happily order from Tippy Toad again. Exactly what I envisioned. The cups came out beautiful. The ordering and approval process was easy. Shipping was fast. I will definitely use this company again. 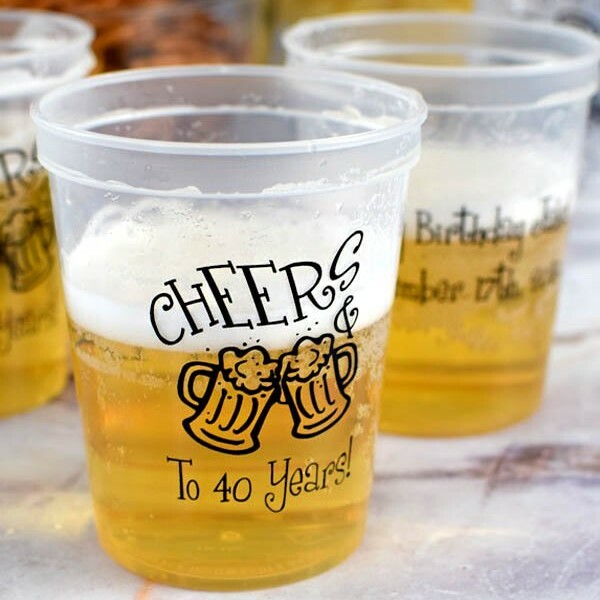 Just adds that special and personalized touch to your party! The Law School Graduation cups I ordered with my daughter are exceptional. TippyToad was very easy to work with and provided exceptional service. We received the cups in plenty of time for the graduation party. I will definitely use TippyToad again for other personal party items!! !